Our first whole day in Egypt began by visiting some of the most magnificent buildings in the world. The number one reason for so many tourists coming to Egypt every year - the pyramids. 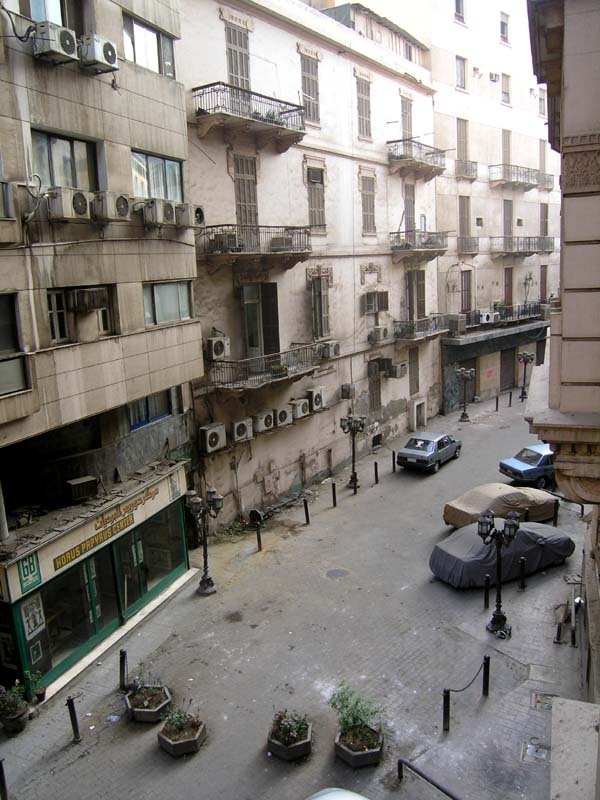 From the center of Cairo (locals call it Al Qahirah) we drove through the suburbs and visited Saqqara. 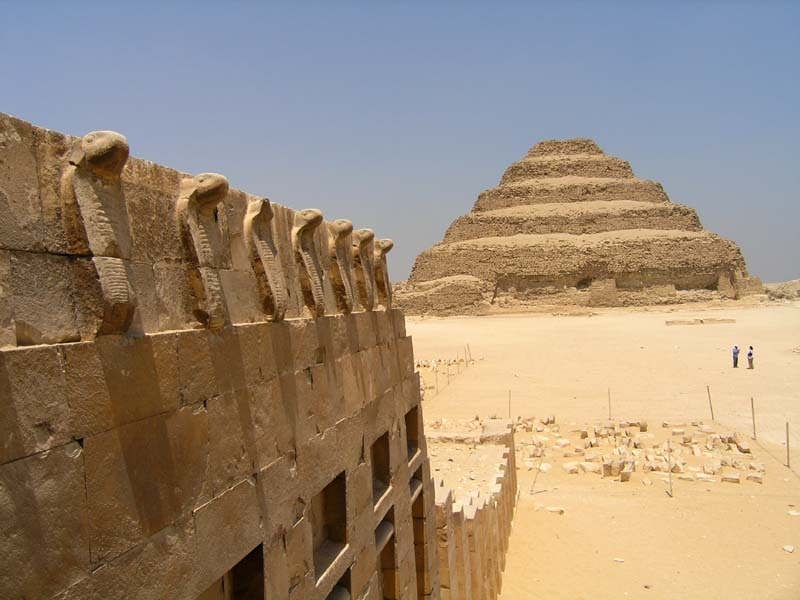 Djoser's step pyramid is one of the oldest pyramids, built by the famous pharaoh's chief architect Imhotep. Our next stop was at Giza. It is the most famous and at the same time also the most touristy place in Egypt. Little of the ancient romantic spirit is left in that place today. Some time ago one could climb each one of the pyramids and enjoy a romantic sunrise breakfast at the top. Loads of tourists have put this to an end and nowadays one is greeted by a walk-through x-ray, rope with signs forbidding close contact with the pyramids and a bunch of annoying locals trying to sell some "genuine first class souvenirs". Those were really annoying and with many tricks up their sleeves. 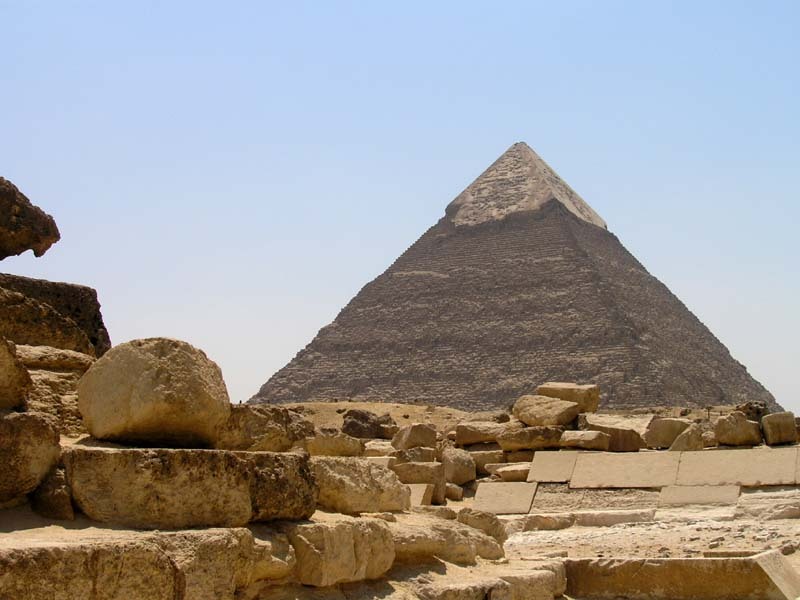 Regardless of all that the Great pyramid of Khufu (also known as Cheops) is still a magnificent sight. They say it could be put over St. Peter's basilica in Rome and cover it completely. Next to the pharaohs' pyramids also stand smaller queens' pyramids. I was allowed to climb one of those. In the distance expanding city of Cairo could be seen. They say it is getting closer every day. 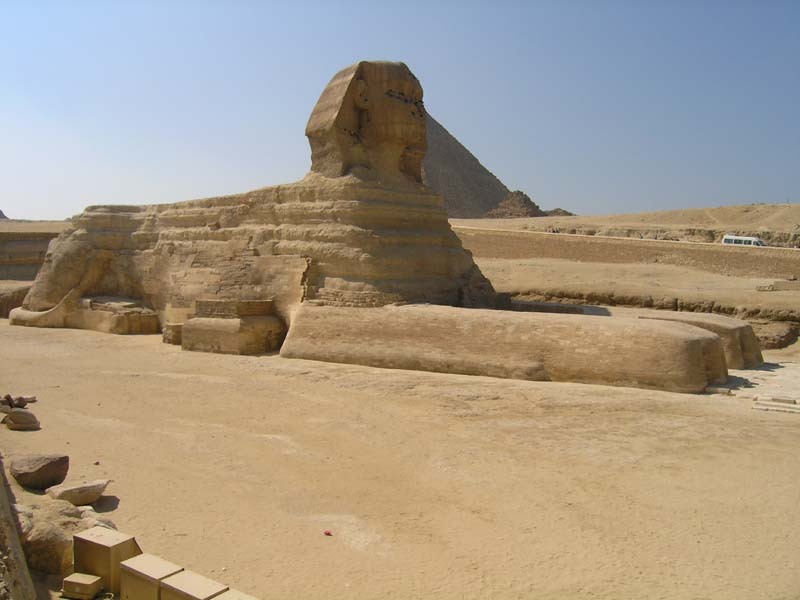 After a couple hours of trying to shake off the annoying locals, we went on to see the Sphinx. Because of the non-proportional head it is nowadays believed that in the old days it has carried a head of lion. Many years after it was built, one of the pharaohs has supposedly ordered carving a head resembling his own image. 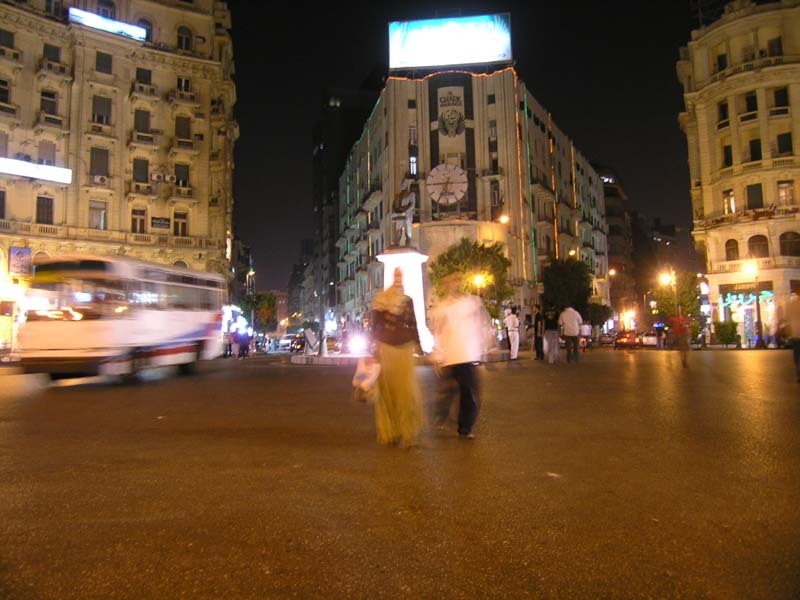 In the evening a walk through central Cairo followed. In one of the many street cafes I have tried my first sheesha (water pipe). I liked it a lot so it was not my last one.